The Forward Markets Commission (FMC) is set to impose a penalty of Rs 100 crore on a cartel which has been found to be behind the surge in guarseed and guargum prices on futures exchanges to record high last year. Guargum prices had soared to over Rs 1 lakh a quintal and guarseed to over Rs 30,000 in March last year, forcing the commission, which regulates commodities markets in the country, to suspend futures in both. An official of the FMC said that the Government will be taking action based on a report submitted to the Consumer Affairs Ministry in October last year, on the unusual price movement. The report had found fault with at least 45 traders. Responding to question on the report, the official, who did not wish to be identified, said: “The Government is taking action on the report. Notices have been issued and soon, Rs 100 crore penalty will be imposed on the cartel found to be behind this.” The official, however, refused to provide details of the cartel. In May last year, the FMC penalised nine commodity brokerages, including Angel Commodities, Kotak Commodities, Reliance Commodities and Karvy Comtrade, for violating rules in collecting margin money from traders punting on guar gum futures. Guar or cluster beans, a leguminous crop, is primarily grown in Rajasthan, besides Haryana, Punjab, Gujarat and Madhya Pradesh. Rajasthan accounts for over 70 per cent of the total crop in the country. Guarseed is a raw material for producing guar gum. Guar gum is used as a thickening agent and additive in food products such as instant soups, sauces, processed meat products, baked goods, milk and cheese products, yoghurt and ice-creams. It has industrial applications in the paper and textile sectors, ore flotation, explosives manufacture and fracturing of oil and gas formations. Currently, guar gum is in demand for fracking of shale gas, particularly in the US that accounts for 25 per cent of the world trade. Guarseed and guar gum prices had run to record high early last year despite the FMC imposing additional margins; investors had to payat least Rs 15 lakh to take positions in guar gum. Then, investors had justified the surge, pointing out to Government data on exports of guar gum. 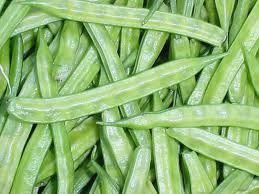 Initially, the data showed 70 per cent increase in guar gum exports in the first half of 2011-12 fiscal. The data wererevised later by the Government since the industry pointed out that the crop figures and export data of guar gum didn’t match. Meanwhile, prices of guarseed and guar gum which began to rise early this month on reports of dryness in the growing areas have dropped by 25 per cent on Tuesday. This follows the FMC directive to the futures exchanges to scrutinise the sudden spurtfrom August 12. On Sunday, the FMC Chairman Ramesh Abhishek said on the sidelines of a meet in Mumbai that prices of guarseed and guar gum futures, which resumed in May this year, have begun to drop after he asked the futures exchanges to probe the accounts of their top 25 clients. “We sought details on hedgers, buyers and sellers in guar (seed and gum) within 15 days. A big cartel seems to be funding the rise through some participants. We have asked exchanges to try and find out the source of funds from these participants. The exchange will penalise the members found guilty,” the chairman said. Guarseed and guargum futures resumed from May 14, following the commission’s go-ahead. Guarseed contracts, which are to be delivered in October, opened at Rs 7,730 a quintal on May 14 and dropped to Rs 4,040 on August 12 on speculation that guar production could be a record this year on bountiful monsoon rains. Guar gum contracts for the same month during the same time, dropped to Rs 11,430 a quintal from Rs 24,500. On September 12, guarseed prices rose to Rs 7,963 and guar gum to Rs 22,380 after which the commission sought details. On Tuesday ( 24/9/2013), guaraseed contracts dropped to Rs 5,990 a quintal and guargum contracts to Rs 16,900. इस उतार चढ़ाव की स्थिति में किसानो ने ग्वार को अपने घर में भंडारित कर रखा है. कुच्छ किसानो ने तो 2-3 साल का ग्वार भी भंडारित कर रखा है. वैसे तो ये किसानो का अपना निजी मामला है कि वो इसे बेचे या न बेचे. लेकिन जब बात ग्वार लगाने वाले किसानों के समूह की करें तो ये स्थिति चिंता जनक है. इसी कारण से ग्वार के दामों में चढ़ाव हो गया. लेकिन साथ में ग्वार दूसरी इंडस्ट्री के पहुँच से दूर हो गया. जो की आने वाले समय के लिए खतरनाक है. इससे किसानो की निर्भरता केवल एक तरह की इंडस्ट्री पर हो गयी. इसी कारण से सारी की सारी मांग खनिज तेल व प्राकृत गैस इंडस्ट्री पर निर्भर कर रही है. अभी जो 10-15 दिन से भाव चढ़ रहे है उनकी स्थिति भी आपके सामने रख देता हूँ. ये पूर्णतया सट्टे बजी वाले भाव है. जो इस इंडस्ट्री को लम्बे समय में डूबा के रख देंगे. इस भाव पर ज्यादा बिज़नस नहीं हो रहा ! आज के दिन खनिज तेल व प्राकृत गैस इंडस्ट्री से कोई भी नयी मांग नहीं है. आज के दिन वंहा के आयातकों के पास इंडिया से आधी दरों पर ग्वार गम पड़ा है जो की अगले 1 साल के लिए प्रयाप्त है. अगर नयी मांग आई भी तो वि अभी बाज़ार में उपलब्ध 5% -10 % ग्वार से पूर्ण हो जायेगी . किसान भाइयों का तो कहना ही क्या, उन्होंने ने तो अभी पिछले साल का 75% माल स्टोक कर रखा है. उससे पिछले साल का भी 20-25% माल रख रखा है. भगवान की दया से अभी तक बारिश प्रयाप्त है लगता है ये फसल अच्छी तरह से हो जाएगी. किसान भाइयों अगर ये कृत्रिम कम सप्लाई वाली स्थिति ज्यादा लम्बे समाय तक बनी रही तो हमे निम्न नुकसान होगें. तेल व प्राकृत गैस इंडस्ट्री ग्वार गम को पूर्ण तया नकार देगी. किसी दुसरे उत्पाद पर चले जाएंगे . फिर वो ही 1600 -1700 के भाव बाज़ार में रह जायेंगे. दूसरी इंडस्ट्री ग्वार पर ज्यादा रिसर्च नहीं करेगी व अपने उत्पादों में ग्वार काम में नहीं लेंगे. ग्वार मेहंगा होनें के कारन दुसरे क्षेत्र के लोग ग्वार लगायेंगे, जीससे आपका एकाधिकार ख़तम होजायेगा, जो की फिर लम्बे समाय के लिए खतरनाक है . दुसरे देश अमरीका, ऑस्ट्रेलिया , अफ्रीका के देश , चीन इसकि खेती करने लग जायेंगे तथा इससे भारत की कुल हिस्सेदारी ख़तम हो जाएगी. भारत की इंडस्ट्री वाले भी उतार चढ़ाव की स्थिति में व्यापार नहीं कर पाते. उतार चढ़ाव की स्थिति में माल को स्टोक कर नहीं सकते जो की प्रोसेसिंग में आर्डर को जल्दी पूरा करने के लिए जरुरी है . लम्बे समाय के लाभ को ध्यान में रखते हुए अपने माल को समय समय पर निकालते रहे. कृत्रिम स्प्लाइ बंद ना करे , कृत्रिम स्थिति हर व्यापार के लिए खतरनाक होती है. निवेसक अपना पैसा दूसरी जगह लगा देगा लेकिन आप को तो ग्वार की खेती करनी पड़ेगी. ज्याद नुकसान बरानी क्षेत्र के किसानों को होगा, क्योने की उनके पास दुसरे विकल्प नहीं है. क्यों की ये ठीक उसी तरह की स्थिति है अगर सारी इंडस्ट्री मिल के ग्वार गम लेने से मना कर दे. The sharp fall in guar gum shipment has pulled down the growth in India's agricultural and processed food exports in the first quarter of 2013-14. Export of guar gum, used in oil exploration dropped more than 57 per cent, which resulted in a moderate growth in overall agricultural exports during the quarter at around 6 per cent. Data from the Agricultural and Processed Food Products Exports Development Authority (APEDA) showed that exports of Basmati rice, wheat, fresh vegetables, fruits and meat saw a sharp rise during first quarter. The country's total agricultural exports stood at more that Rs 12 lakh crore during the year 2012-13. In the first quarter of the current year, the export value of guar gum fell to Rs 4,702 crore from Rs 11,000 crore in the year-ago period. "Due to decline in demand from oil and gas explorers, guar gum exports have declined sharply this years," a commerce ministry official said. In April-June, 2013, India's agricultural exports from the APEDA basket has grown marginally to Rs 34,132 crore from Rs 32,061 crore in the year-ago period. Exports of Basmati rice has increased by 67 per cent year-on-year to Rs 11, 178 crore. Realisations from wheat exports posted a 287 per cent rise year-on-year to Rs 3,953 crore during the quarter. Other commodities which saw an increase include dairy products (Rs 797 crore), pulses (Rs 489 crore), meat (Rs 5087 crore), fresh fruits (Rs 1106 crore) and fresh vegetables (Rs 845 crore). The day before yesterday the guar seed was reached up to the level of 7000/ 100 Kg. I regularly receive the call about the future of guar seed. To get the answer of your query. Please look at the following updates. Guar seed sowing is 70 % higher than last year. The current rainfall is regular and more than average. There is no news of crop damage due to heavy rain. None of the above condition is in the favor of price rise of guar seed . but it has become habit of newspaper and give opinion on rise of guar seed . There is one factor which can lead to price rise, that is the going down of value the Rs. because the international trade is done on USD. Gum companies are earning more money due to high exchange rates. This is also possible that the rates are gone up just because of rupees down fall. In international market there is no fresh order from fracking industry. It will take time up to next March and April. India is the leading producer of guar and guar gum in the world. It share around 80 % production of world, rest of major production comes from Pakistan. 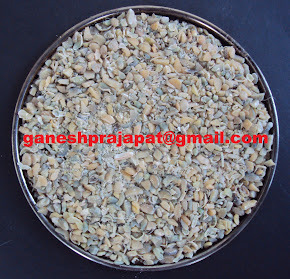 In India Rajasthan is leading producer of the guar seed and guar gum. It contributes around 70 % production of India. Haryana , Gujarat and Punjab are other Guar producing states in India. Guar is emerging and highly preferred agriculture commodity. The demand from the oil and natural gas industry is increasing day by day. The powder of guar seed known as guar gum is used in franking process. India is the major producer of the Guar Gum in the world. 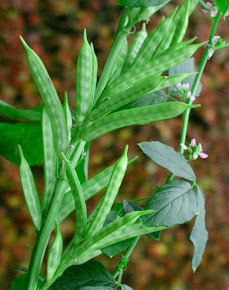 The climatic conditions of other countries also favour the Guar production. It can be cultivated in the low water availability regions. We provide complete solution for the guar cultivation. We provide dedicated technical consultancy for the Guar Cultivation. We will assist you in selection of the Land suitable for Guar Cultivation, selection of right type of variety, Farm management of the guar field, post harvest management of the guar crop, storage and ware housing. Our expert will help your toward your maximum satisfaction for the guar cultivation point of view..
Guar Gum Cultivation. Simple theme. Powered by Blogger.